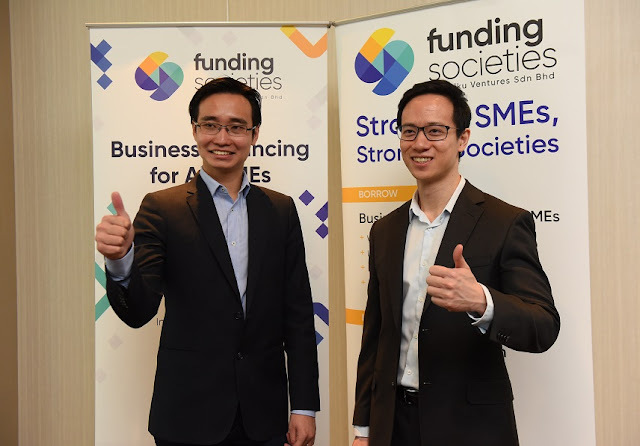 Funding Societies, a Malaysian-founded regional Peer-to-Peer (P2P) financing platform, today launched its debt crowdfunding platform in Malaysia to provide SMEs and investors with trusted alternative financing and investment opportunities. Funding Societies aims to uplift businesses where financing is the most difficult, in particular the small and medium-sized businesses. New businesses are often faced with stifling restrictions when it comes to applying for financing. Funding Societies addresses these challenges head-on by providing an easy and viable option for SMEs looking for short-term financing between 1 and 12 months. Funding Societies also meets the needs of SMEs which require small financing needs (between RM 50,000 and RM 500,000), fast disbursal (1-week disbursal), and a simple hassle-free application process (less than 15 minutes). Funding Societies is funded by global and regional venture capital firms, Sequoia India and Alpha JWC. By leveraging on their network, Funding Societies strives to incorporate the best practices in Technology and P2P financing regionally and globally, and tailoring them to the local Southeast Asian market. As one of the only six trusted P2P operators recognized and regulated by the Securities Commission Malaysia (SC), Funding Societies Malaysia continues to work closely with the SC and strictly abides by its regulatory framework to protect SMEs and investors, while allowing room for growth and innovation. Kah Meng Wong, CEO of Funding Societies Malaysia added, “Funding Societies is driven to support the growth of the Malaysian economy by providing business term financing and invoice financing solutions to SMEs across various industries including manufacturing, wholesale and retail trade, construction and food & beverage. By serving a large variety of sectors, investors are also able to better diversify their investment portfolio and minimize risk.